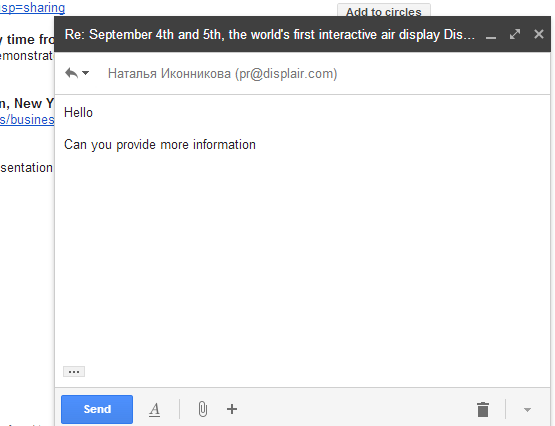 When Gmail launched the new compose interface, I wondered why the interface for replying to other messages is different. By default, when you reply to a message or you forward a message, Gmail shows the rich-text editor below the message, just like before. 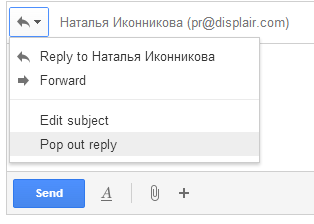 There are a few ways to make the reply box look like the compose box, so you can open other messages or use Gmail's search feature while replying to a mail. 1. Shift-click the "reply" link or the entire box that includes the message "Click here to Reply or Forward". 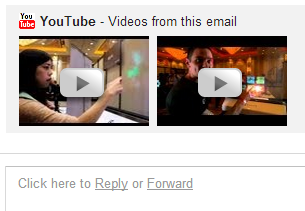 You can also Shift+click "forward" to open the forwarded message in a pop-out box. 2. Use keyboard shortcuts: Shift+r to reply in a pop-out box, Shift+a to reply to all, Shift+f to forward in a pop-out box. 3. If you've already writing the reply, click the arrow above your reply and pick "Pop out reply". To go back to the regular interface, minimize the compose box, find this message "You are currently editing your reply in a separate window" and click "Show your draft here."